Many doctors embark upon their careers because they want to help people, not manage a business. However, doctors who operate their own practices must juggle patient care with running a service-based business, and even doctors who are employed by hospitals or other medical facilities have to make some important financial decisions. Because physicians begin their careers relatively late and often have significant medical school debt, it’s especially important for them to make informed financial decisions that allow them to pay off their debts and save for retirement. And with their busy schedules, few medical professionals have the time to dedicate to thorough financial planning. That’s where Chandler & Knowles CPAs can help. As experienced accountants for doctors, we provide a wide range of services including tax preparation and financial planning services that focus on the unique challenges of working in the medical industry. We can assist you in making sound financial decisions that will benefit you and your family in the long run, whether you are establishing a new clinic or preparing to send your children to college. Whether you are just starting your own practice, expanding your existing practice, hiring a new staff, or making any other major business changes, Chandler & Knowles CPAs can provide medical professionals with the right recommendations based on your historical and current financial data. We can also prepare monthly cash flow statements to keep the business side of your practice running smoothly, allowing you to spend more time focusing on your patients. Let us conduct your payroll processing and reporting so that you don’t have to hire an in-house bookkeeper or handle payroll administration yourself. We can also file the appropriate payroll documents during tax season, helping you remain in compliance and reducing your risk of being audited. Our services include tax preparation and planning for medical practices and individual doctors. We can help you take advantage of tax deductions and exemptions available to medical professionals. 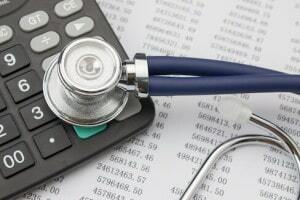 We can also help you make long-term financial decisions to help legitimately minimize your healthcare business and personal tax burden in the future. Because of the years of education and training required to become a doctor, most physicians begin building their financial portfolio later in life than other professionals. Whether you are self-employed or an employee of a healthcare facility, a CPA from Chandler & Knowles will provide professional advice to help you make the most of your working years so that you can retire comfortably. Our biggest goal at Chandler & Knowles is to help our physician clients achieve financial success. Find the answer to your most taxing problems by learning more about our services. Too many doctors fail to adequately plan for their financial future and end up making costly mistakes. Start planning now so that you don’t have to worry about your finances as you approach retirement: contact Chandler & Knowles today. We’ll be happy to tell you more about our experience in providing CPA services for physicians and to set up an in-person meeting at one of our locations in Flower Mound or Addison, TX.